My mom was at my home the other day. 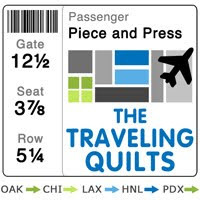 She picked up a quilted fabric coaster I had made from an orphan block and said, "This is what I want." Well, there's no arguing with that,is there. 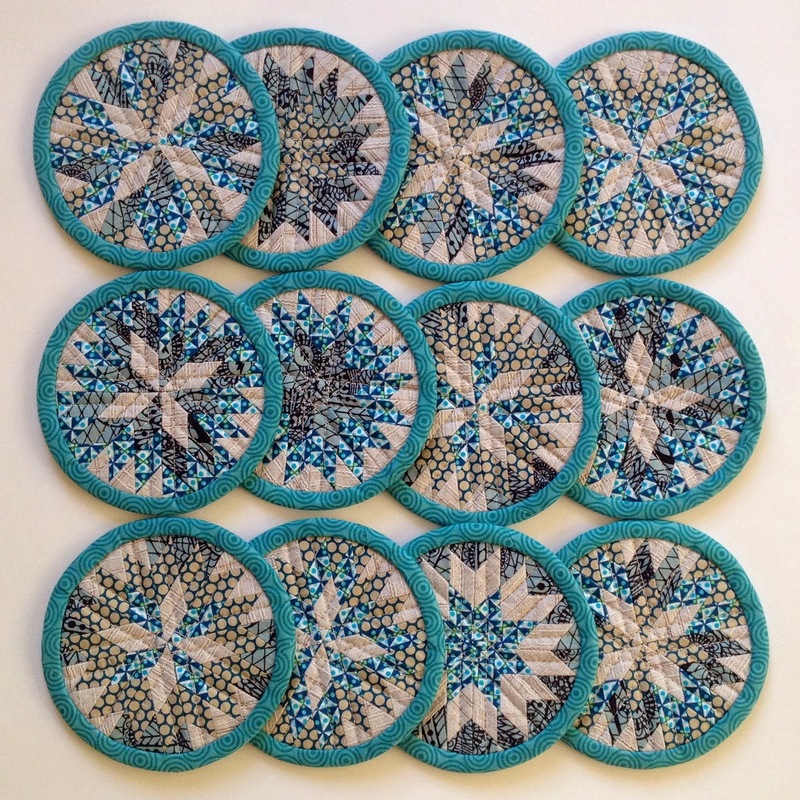 I got it in my head to make some mini lonestars, cropped round & quilted. I wasn't sure how many I'd make. Maybe 4 or a couple more, I thought. Once I got going they came together pretty fast & I ended up making 12, enough for three game tables when my mom & dad host bridge night. The first couple blocks I assembled in standard concentric rings of like fabrics. 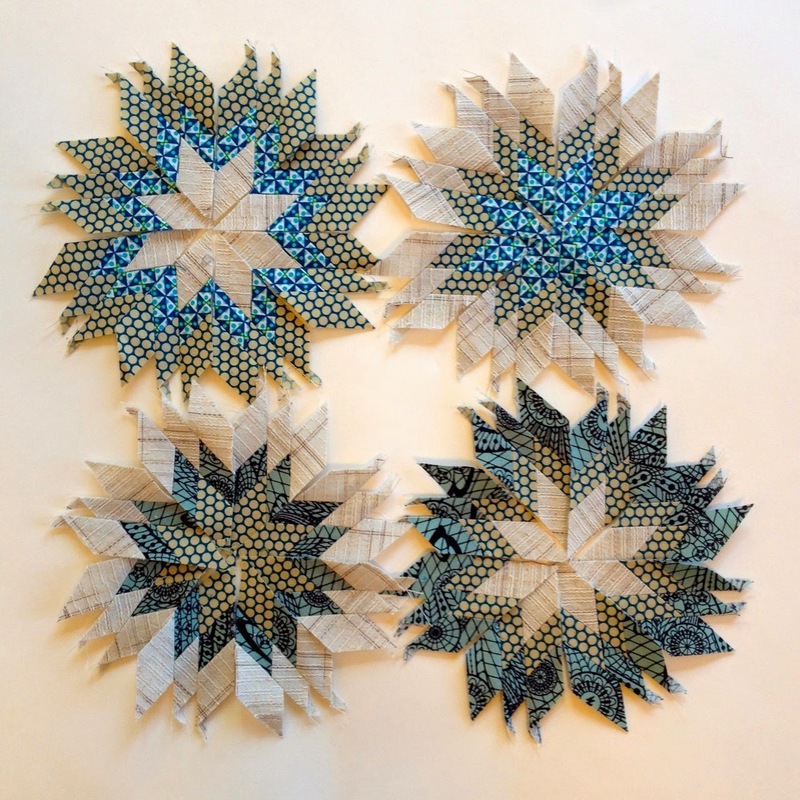 Lonestars are strip-pieced and assembled in 8 wedges, then combined to form the whole star. Then I tried making two contrasting sets of 8 wedges, using the same fabrics but in different order, and mixing the two sets together for a pinwheel effect. 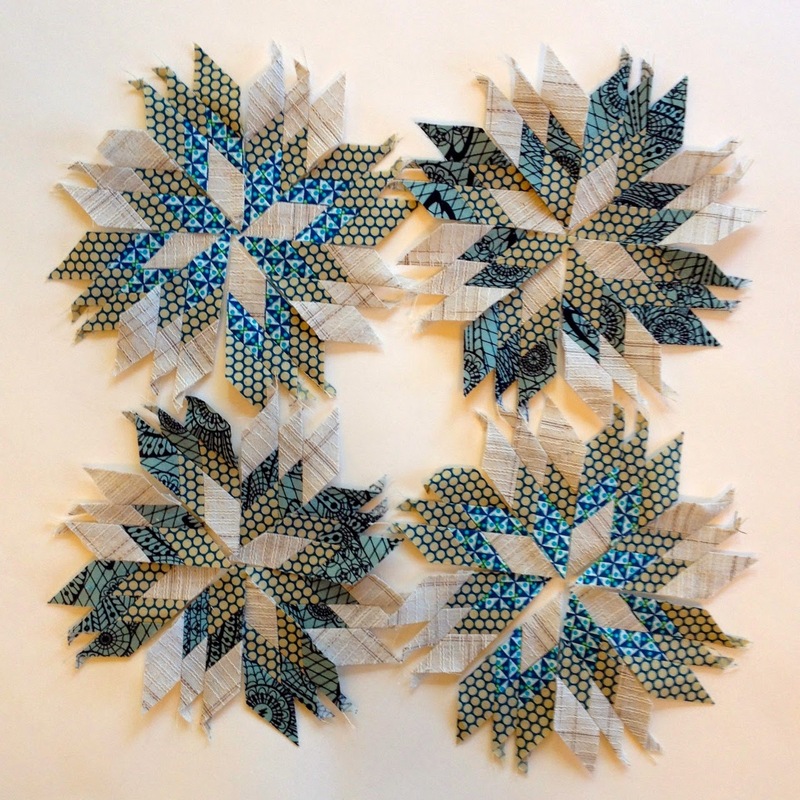 And then mixing sets with varying fabric choices, though all the star blocks use just 4 fabrics. 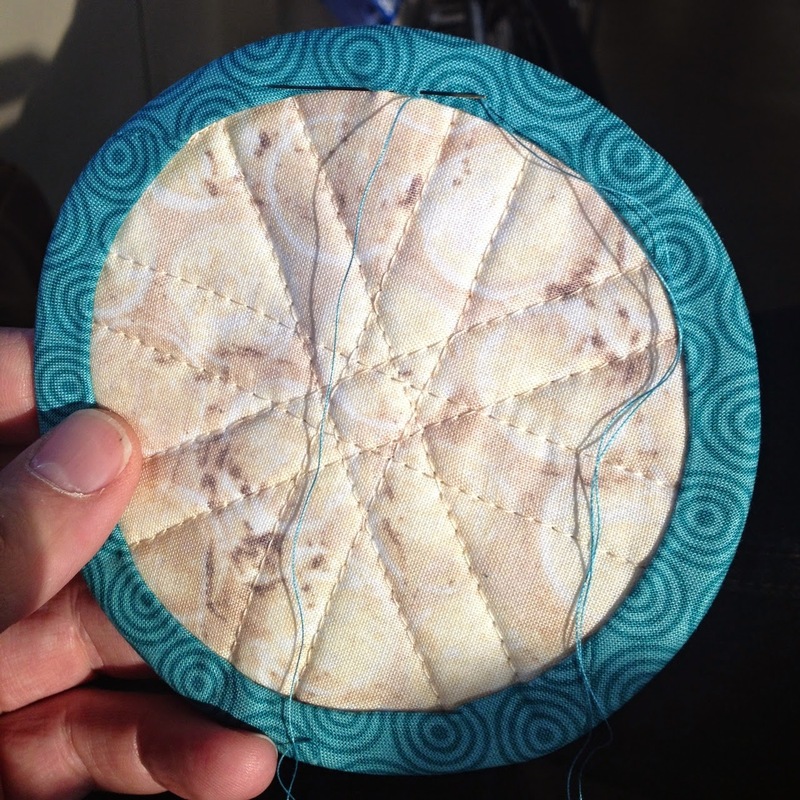 Finally I collected strip-piecing remnants to make one scrappy block. It's in the top left corner of the group shot at the top of the post. 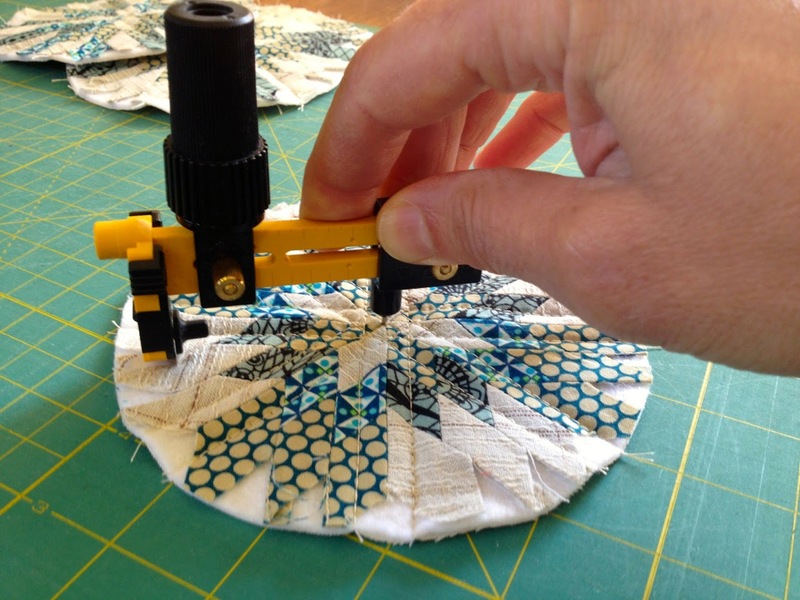 The coasters are machine quilted along the seam lines, trimmed to 4 1/2" diameter with a rotary circle cutter, and bound with 2 1/4" double fold bias tape. I finished the binding during several days of my commute. I'm tickled that the backing fabric looks a bit like that old end table that everyone forgets to use a coaster on. Now it's time to get these in the mail! those came out lovely! I really like the piecing in miniature. So beautiful! Really lovely work. I LOVE it when family or friends get excited and actually ask me to make something for them...something that they really want! It takes away all of that angst of making something and wondering if they'll ever use it. These are some pretty fab coasters, Dan. I'm sure she loves them. Hopefully you won't have to make another 120 of them for your all of parents' bridge buddies! These look fabulous, Dan. Nice to see you back here. I like these so much, that I have been drafting my own on paper to see how they are put together. 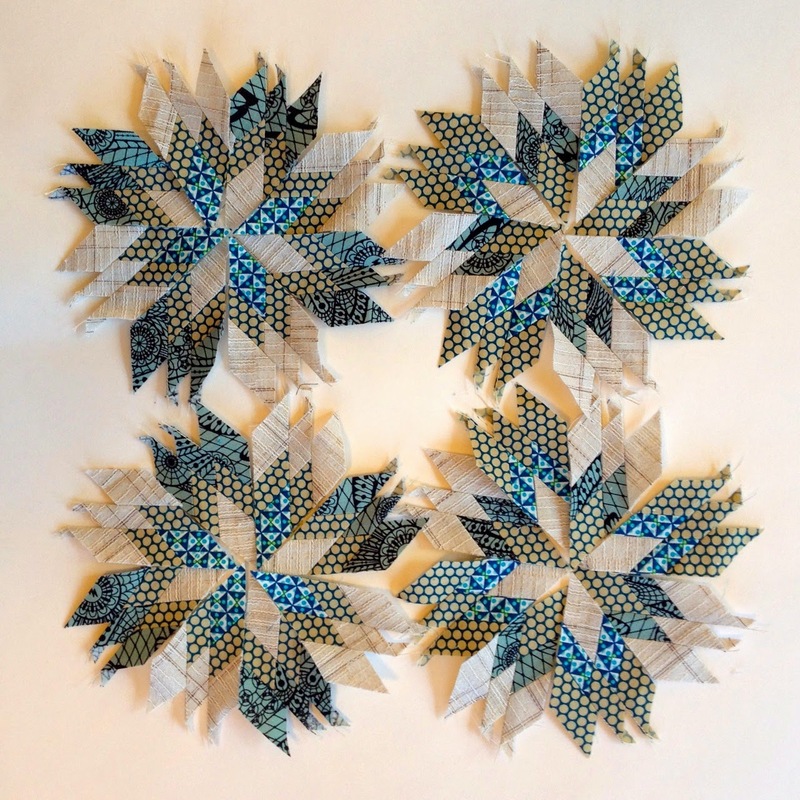 I have made a lot of quilts, but never a Lonestar. I was trying to figure out how I would put them together....and then your lovely blog post. Thank you! This is Mom - and I love the beautiful coasters! Perfect for protecting the furniture from the "sweaty" cold drink glasses that weep on stone or paper coasters. They are color-coordinated with our furnishings, and Dan, you probably remember the little old end table that was my mother's, and that looks a lot like the backing fabric. Yes, our bridge friends will be jealous. Thanks so much, Dan! Your coasters are so cute! I love the pattern! Great job! 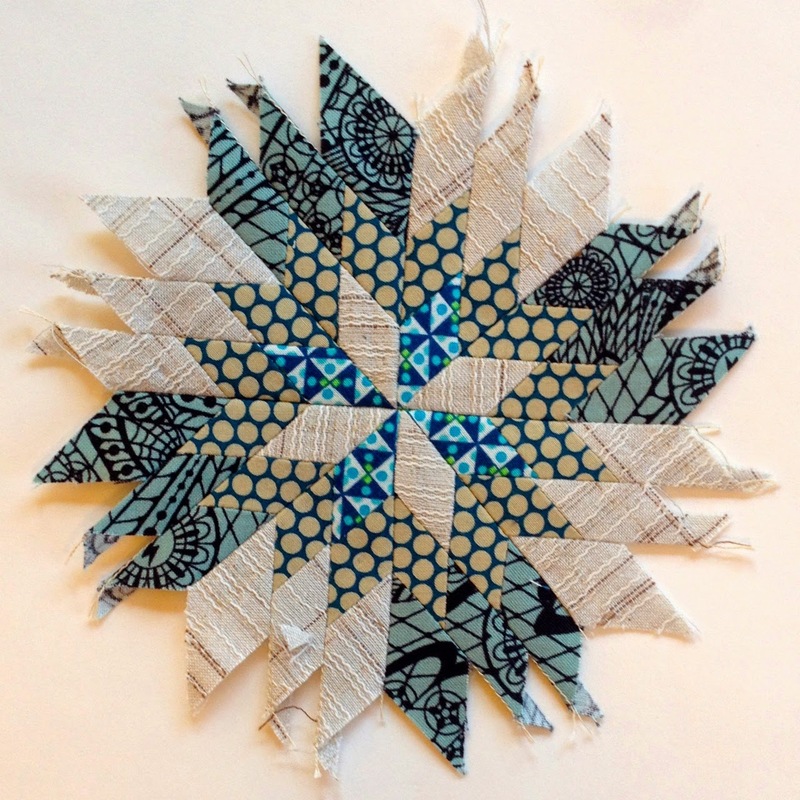 I design gardens and sew quilts. For commission inquires please email me. Onions and mushrooms and pears, oh my!